CLOSEOUTS. 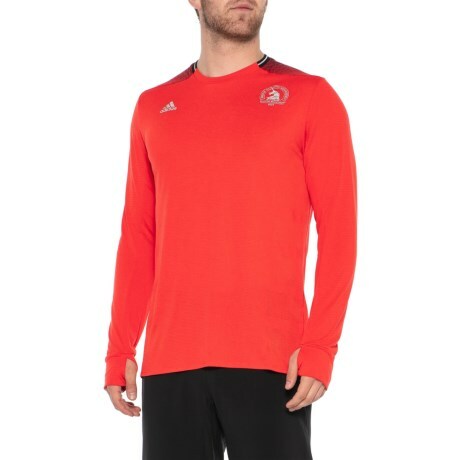 This adidas ClimaCooland#174; Boston Marathon T-shirt is crafted in a moisture-wicking, quick-drying blend for all-season comfort. Available Colors: HI-RED RED. Sizes: XS, S, M, L, XL.